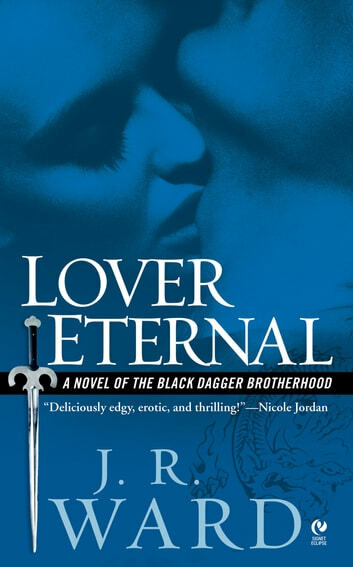 A warrior with inner demons falls for a woman who could save his soul in this seductive novel from the #1 New York Times bestselling Black Dagger Brotherhood series. Within the Black Dagger Brotherhood, Rhage is the warrior vampire with the strongest appetites. He’s the deadliest fighter, the most voracious lover, the quickest to act on his impulses. He’s also been cursed with two hundred years of hell. Possessed by a beast, he lives in fear of the times when his inner dragon comes out and he’s a danger to everyone around him. Mary Luce has unwittingly found herself in the vampire world, and under Rhage’s protection. With her own life-threatening curse to bear, she’s not looking for love. Besides, she’s stopped believing in saving grace and miracles long ago. But when Rhage’s intense sexual attraction turns into emotional bonding, he knows he must have her for his mate. As their enemies close in, Mary finds herself praying for something she fears she’ll never have: life eternal with the one she loves. I really like Rhage. He stood out from the rest of the Brotherhood in book one, and I was excited to see his story come so soon in the series. He's a cursed vampire - cursed with an uncontrollable beast that is triggered by extreme emotions (paid, anger, lust). And once the beast is released, he only goes away after destroying (and eating - ew) everything around it. As a human, Mary is a bit shocked when she is dragged into the vampire world through a young man that she meets when he calls the Suicide Hotline she volunteers at. This boy is something special, and I have some strong suspicions he's a result of something from the first book, but I didn't find out and I think I may be waiting awhile for his story. 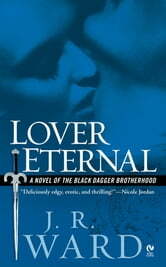 But he plays a fairly prominent role in Lover Eternal and makes a great character. Anyway, Mary, she's an interesting study in opposites. She's a strong woman, but her illness makes her weak. She's incredibly intelligent, but she finds herself immersed in a world where she has everything to learn. Her and Rhage have an interesting start to their relationship as he is ordered to erase himself from her mind. But there is something about the way she speaks that Rhage needs to have. I love that something so simple as the sound of her voice is what initially draws him to her, not her looks, or having to rescue her, it was a great way to make their start different than what I usually see out there. We get to see a lot of the Brotherhood and a few of the characters from book one still pop up and I love being able to see the whole group in both books. The Lessers are still on the hunt and looking for a fight and we are introduced to a new civilian, Bella, that a friend of Mary's that seems to have more of her story to tell. A great second book, but I feel the Mary and Rhage's solution was a little contrived. It felt like Ward had written herself into a corner and used the "but then the rules changed" option instead of playing within what she had already written. This book is the second of a series of many enthusiastic, awe inspiring novels. This book had me figuratively on the edge of my seat (only because I read it horizontally) and gripping my phone so hard my knuckles were white. I have enjoyed this series immensely thus far and as I continue on and read the next in this thrilling series I know, do not hope, know that my experience will continue on throughout the rest of the novels. the blood brother series with their blind king is full of emotion, action, and a real pleasure to read. Well-done story, funny, passionate and built with a great sense of continuity.